This week in the LPGA we have the NW Arkansas Championship. The last tournament was the KPMG Womens PGA Championship which Inbee Park won in spectacular fashion. 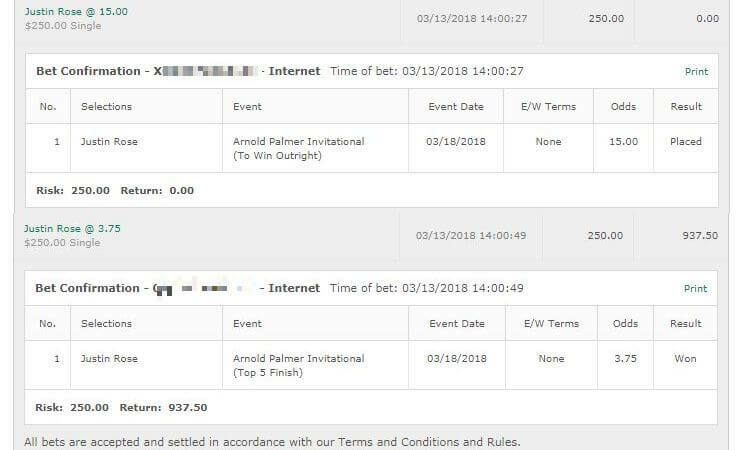 We were extremely close to a big cash with Suzann Pettersen but unfortunately she fell a stroke behind which cost us the cash. The big story there was the disappointing Lydia Ko who failed to make the cut after the 2nd round. This tournament is held at the Pinnacle Country Club. Last years winner was Stacy Lewis who despite shooting a 70, fired back the next two days with 66 and 65 in exceptional fashion. Inbee Park won the year prior when it went to a playoff – and she beat So Yen Ryu there. This is a notable tournament as Stacy Lewis, last years winner, actually won the inaugral tournament in 2007 as an amateur. That was quite the messed up tournament though – Lewis was an amateur, so did not recieve the full prize purse that she should have for winning. On top of that, due to horrific weather the tournament had just one round. Yani Tseng is the only other multiple winner. She actually won it back to back in 2010 and 2011. Form wise you should stay the hell away from Lydia Ko at the moment – but we can’t help but be appealed by those odds which we feel are drastically over expectations. Yes Ko is struggling in form, but she has had solid tournaments here previously. She came 2nd last year by just a stroke, and 4th the year prior. If she doesn’t win here or come close – then we’ll probably look at not including her in the tips for a little while. But we fully believe Ko is the best golfer in the LPGA, and 10/1 is a stellar price. It also just hits our E/W minimum. 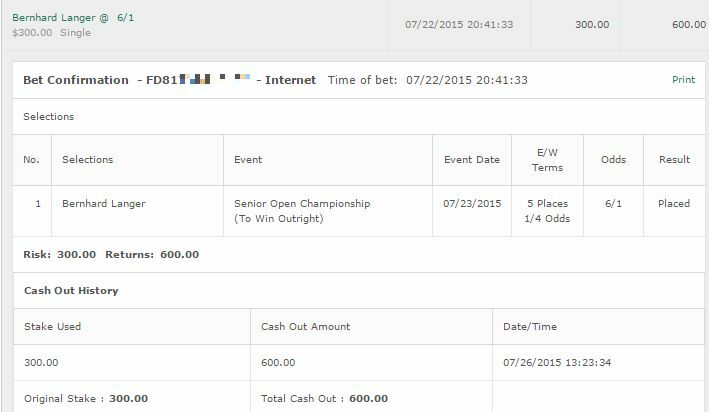 Bet: It’s a risky move due to her form, but go with Lydia Ko to win and E/W at https://www.GTBets.com. 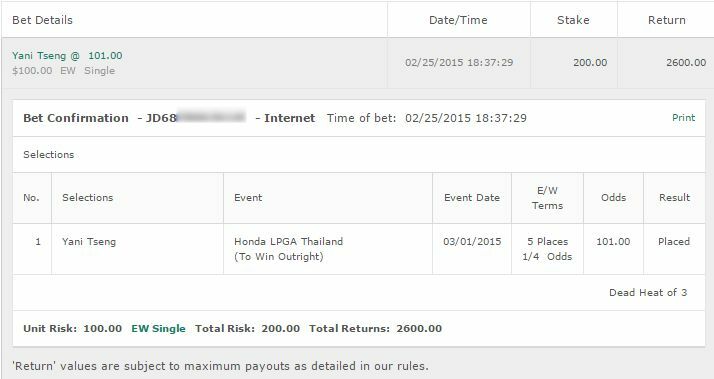 A high price of 80/1 for Miyazato – and quick note that a few sportsbooks are spelling her name wrong as Miyasato. In the last few years, Mika has had some really solid results here. She came tied for 2nd in 2012, and would have won if not for a poor 70 first day. She was 3rd 2 years ago – and again, erratic form on one day where she shot a 70 cost her again. Now last year she was very poor – and this year her form has been bad. She has cracked the top 10 just once and that was at the LPGA Lotte Championship where she came 7th. But we think Miyazato is worth a small quarter unit bet at that price. Bet: Mika Miyazato E/W to win at Bovada for Americans.